Preheat the oven to 450°F and gather your ingredients. 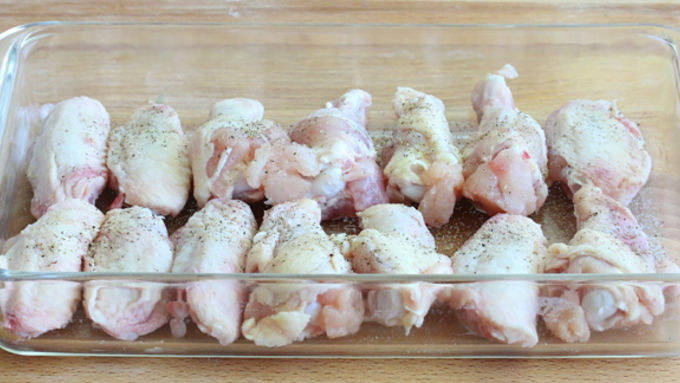 Pat the chicken pieces dry with a paper towel, then place them single-layer, skin-side up in an oven-proof baking dish and sprinkle with salt and pepper. Bake for 25 minutes then drain the chicken grease. 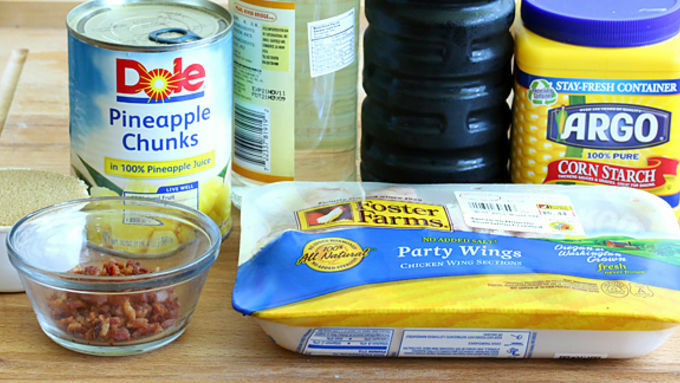 While the chicken is baking, make the sauce: Combine the cornstarch with the pineapple juice until it's dissolved. 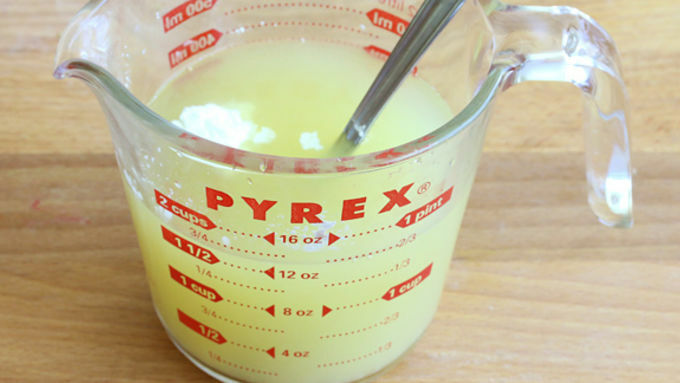 Add the pineapple juice mixture to a small saucepan along with the remaining ingredients. 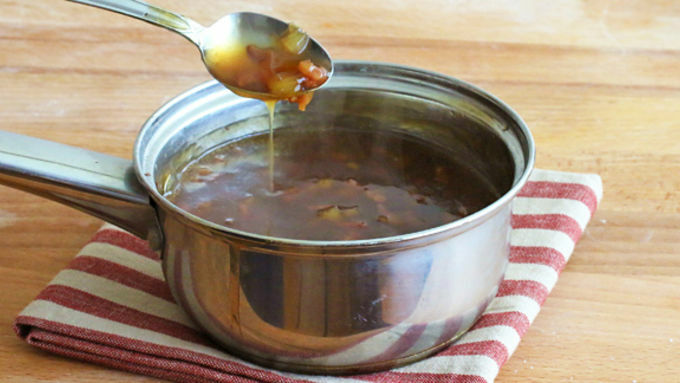 Bring the sauce to a boil, reduce the heat to medium, and simmer for 3-5 minutes until thickened. Pour the sauce over the chicken and bake for another 15 minutes. Serve with steamed rice and a vegetable or enjoy as an appetizer. Just try to resist eating the entire plate of these chicken drummies – we dare you. Can I just tell you that my husband had to pull me away from the table to keep me from plunging headfirst into the mound of sticky Hawaiian Chicken Drummies? It would not have been a pretty sight. Not to mention it wouldn't have been the best example to set for my 2 and 4 year-olds, whose impressionable minds are still learning table manners. *Ahem* But where was I? 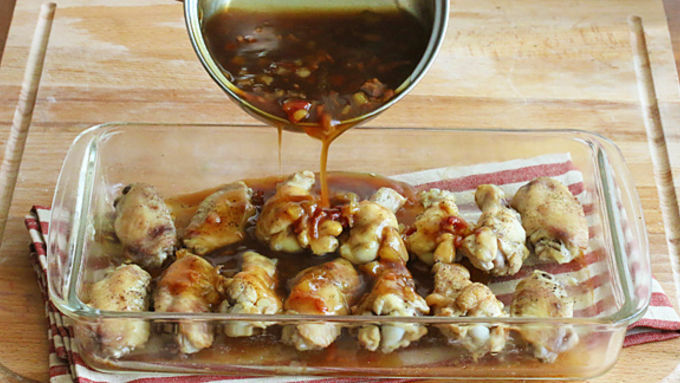 Ah yes, chicken drummies ... dripping with sweet and sticky Hawaiian sauce with glorious tiny chunks of pineapple and (*swoon*) bacon. 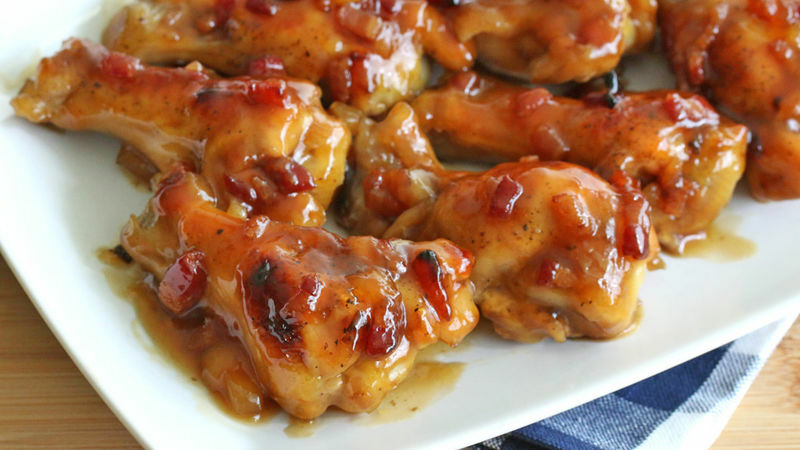 You're going to love - no, lurve - the flavor dimension that bacon adds to this sauce. It's simply out-of-this-world good. So good, you're not going to want to let any of it go to waste. So steam some rice to serve with the chicken and pile on any remaining sauce. Aloooooooha!